It began as a quiet revolution. 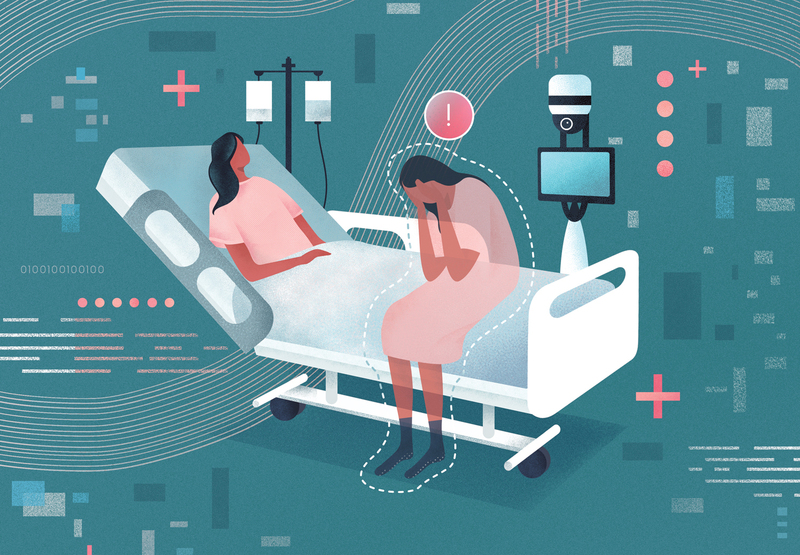 A few years ago a few hospitals dipped their toes into the murky waters of suicide ideation, trying to find a more efficacious means of protecting patients who did not present as an immediate threat to themselves or others. It went against one of those sacred cows in nursing that a physical sitter was needed in every case of thoughts of self-harm, whether the thoughts were recent or not. Plus there were policies in place, the work of well-meaning committees. It didn’t matter that no study has demonstrated that sitters are effective for preventing adverse behavioral events. Or that some patients posed a threat to caregivers; in those cases, restraints were sometimes the result. All of this has become vastly more important because of two factors. One is a surge in the number of people with diagnoses of major depression. Diagnoses rose 33% in America from 2013 to 2016, mostly among adolescents and millennials, according to a 2018 study by the national Blue Cross and Blue Shield Association. The other factor is that hospitals no longer have limitless resources for one-to-one sitters. 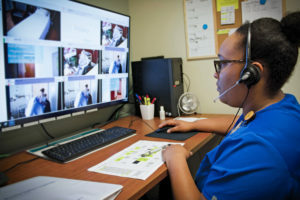 The hospitals that adopted video monitoring for this population had success through a measured process of new inclusion criteria, specific training for monitor techs and educating staff. AvaSure has provided the means for hospitals to share their best practices and incorporated processes into our training materials. Unfortunately, due to complex regulations around this challenging patient population, many questions about feasibility and patient risk stratification had gone unanswered – until recently, that is. We are seeing the beginning of clinical rigor behind this work. Since AvaSure began data collection in late 2015 until now, there have been over 10,000 patients safely monitored for suicide precautions across many different hospitals. 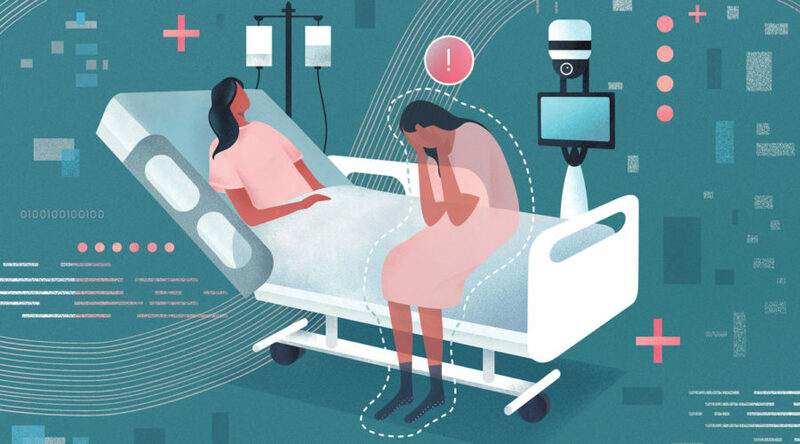 In January, a team from Brigham & Women’s Hospital in Boston published its research, entitled, “Virtual monitoring of suicide risk in the general hospital and emergency department,” in the journal General Hospital Psychiatry. There were no adverse events to be reported in the video monitored intervention group. Earlier this month, The Joint Commission published a Frequently Asked Questions statement clarifying its stance on video monitoring for moderate to low suicide risk, stating it is up to the discretion of the hospital. Patient selection based on risk stratification. Beacon Health chose the Columbia Suicide Severity Rating Scale as its assessment tool. 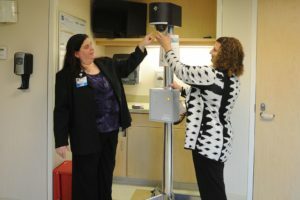 Paturalski and Kelly consulted directly with Kelly Posner, MD, the author of the tool, on how to incorporate the Columbia scale in their video monitoring policy. The Joint Commission provides examples of other tools in its recent R3 Work with your internal stakeholders to decide which tool is best for your organization and your patient population. Defined policy. Kelly and Paturalski shared how they consolidated several different policies in 2016 regarding the care of the suicidal patients into one comprehensive policy. Since that time, they have monitored more than 500 suicidal risk patients and have successfully completed a Joint Commission survey. Technology platform that meets the guidelines. Video monitoring for this patient population should include 360-degree viewing and the provision of immediate intervention. Paturalski and Kelly shared how they track their TeleSitter alarm response time, which averages 14 seconds! Over time, there will surely be much more research into this important area of concern. In the meantime, share with me any questions or insights you might have on monitoring the suicidal patient.